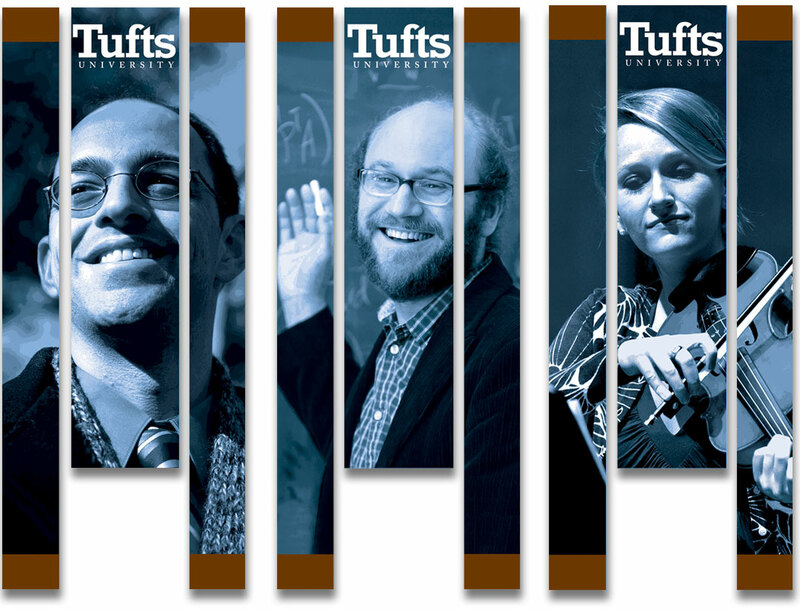 These large format, three-piece banners for Tufts University were taken over by Ace Creative in 2012. 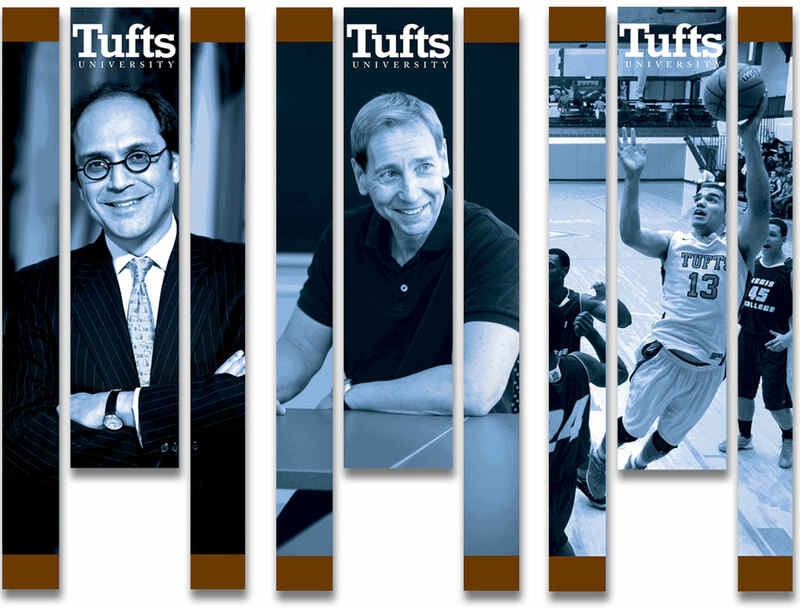 Every year the University does 3–4 new banners and hangs them around their campus along the streets of Medford, MA. 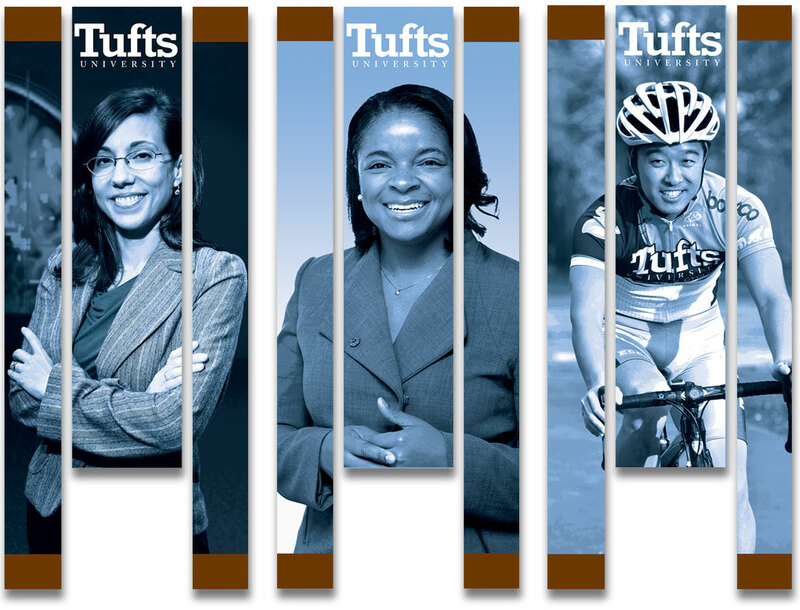 Following an already established look and set up, I worked with Ace Creative and Tufts to choose photos appropriate for the layout. I then manipulated the photos to get the right amount of posterization and luminosity, often working with individual parts of each image to create pleasing highlights and low lights. The results are captivating images that look natural in a monotone of Tufts Blue, PMS 279. Shown below are banners from 2014, 2013 and 2012, respectively. This year’s banner are currently in production.